Simple mathematical exercises for fun each day (excluding Sundays). This daily blog was an experiment, but it's not working for me. So sorry. Don't expect any new posts here. 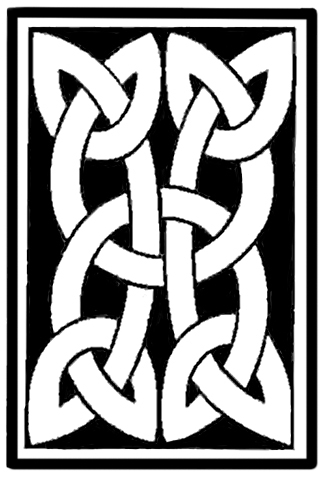 Try drawing some knots. This is not as easy as it may sound at first. Tying knots is much more natural and intuitive than drawing them. If p is a prime number that is bigger than 3 can you see why either p+1 or p-1 is divisible by 6? Randomness is a tricky thing. Open up a text document and put your a finger on two different keys (for instance 1 and 0). Now very rapidly type a sequence of those two characters (taking about five seconds to do so), but try to make the sequence as random as possible. How random is your sequence? (Mine is pretty nonrandom.) Think about ways of measuring its randomness. You may have heard of chess problems: puzzles involving the game of chess. Have you heard of a joke chess problem? If not check them out: Joke chess problems on Wikipedia. This exercise is meant to be done in your head to give your working memory a workout. Think of four four-digit numbers. Let's say the year you were born, the last four digits of your social security number, the last four digits of your telephone number and the number 1234 (but feel free to come up with your own). First arrange them in your head in ascending order. Next arrange them so that the third digits are in descending order. Finally, with the numbers in the order of step two, think of the four-digit number whose first digit is the first digit of the first number, whose second digit is the second digit of the second number and so on. Here is one to exercise your working memory while your spatial reasoning is engaged. Imagine four or five solids (I used the sphere, cube, tetrahedron [a triangle-based pyramid] and cylinder, but don't let that influence you). Now visually moving them around and scaling them, put the first inside the second inside the third inside the fourth. Now reverse the order of the nesting. Too easy-peasy? Do it with more solids. The End - This daily blog was an experiment, but it's not working for me. So sorry. Don't expect any new posts here. Where else can I get my daily math fix? - Thank you for following MAA NumberADay. We will no longer be updating this blog. Where can I get my monthly math fix?